What’s in a name? A whole lot, if you’re talking about your pals of the feline persuasion. It’s the first word you’ll think when you walk in the door, and maybe the second that’ll come to mind when you arrive home to find your old purse/new scratching post on the living room floor. Of course, what you end up calling your little furball ultimately says something about you too. So put on your grain-of-salt hat and check out our armchair psychology guide to naming your cat. If your cat’s named Kitty, Baby Cat, or Gato, you probably hated deciphering poetry in English class. Just get to the point already! 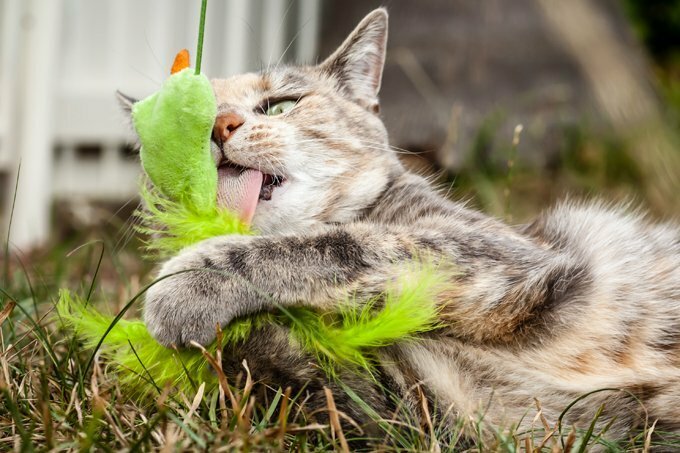 If he or she is named Angel, Princess, or King, you’re probably a softy, and the chances are very good you’re prone to spoiling your kitty. We bet the little diva is wearing a gem-encrusted collar right now. If your cat’s named Ginger, Pepper, or Smokey, you probably picked the handle after one quick glance at its coat—or while you were hungry. If your feline’s named after a Greek God (Zeus, Apollo, Athena, et al), you’ve probably got a flair for the dramatic. If she’s named Gaga, Miley, or Twilight, you’ve probably got a tween in your household. If he’s named Schrodinger, you’re probably the studious type — and you might not be all that fun at dinner parties. If he’s got a scrappy name, like Biff, Spike, or Rocky, you’re probably pretty tough — or just wish you were. If he’s named Garfield, Sylvester, Tom, or Hobbes, you’ve probably journeyed to Comic-Con at least once. Ditto, Snagglepuss, Azrael, and Stimpy. Heathcliff is a maybe…you might also be a fan of Emily Bronte. If your cat’s named Crookshanks, someone in your household loves Harry Potter. If your kitty’s named Bogey, Beatty, or Brando, you probably expect the red carpet treatment wherever you go. But no matter what you decide to name your new pet, you can rest easy knowing this: If you’ve got a cat at all, you’re wise beyond your years!